INSIDERS -- a visually groundbreaking, state-of-the-art nonfiction series that outshines Eyewitness and Discoveries. This stunning new series offers an inside look into twelve riveting subjects, beginning with Dinosaurs, Egypt, Oceans, and Space. Expertly written, each book will feature an arresting design, complete with dynamic, multi-layered CGI and 3­D model imagery that is complemented by fascinating, up-to-date information presented in a user-friendly format. 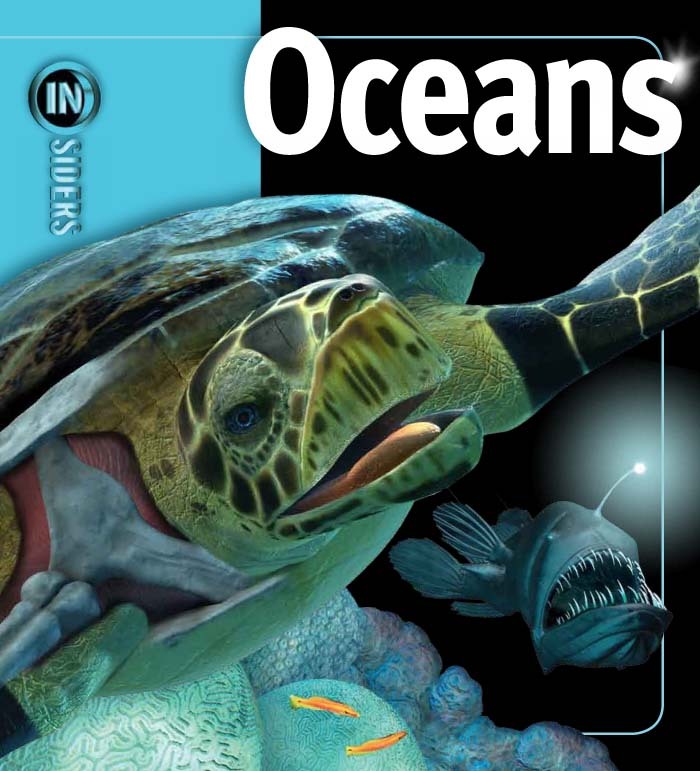 Oceans is a multi-dimensional showcase of the aquatic universe! Take a look inside the formation of waves and tsunamis, see a cross-section of an underwater living lab, and explore the plant and animal species that live miles beneath the ocean¹s surface.